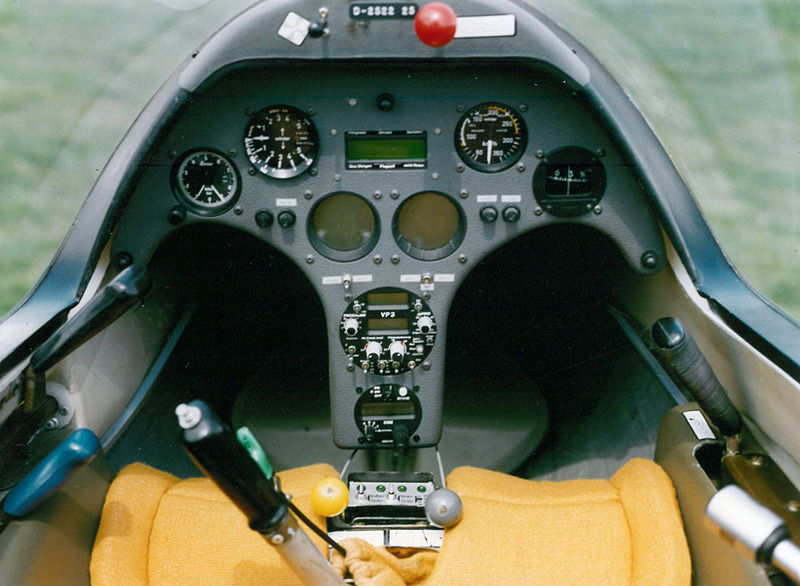 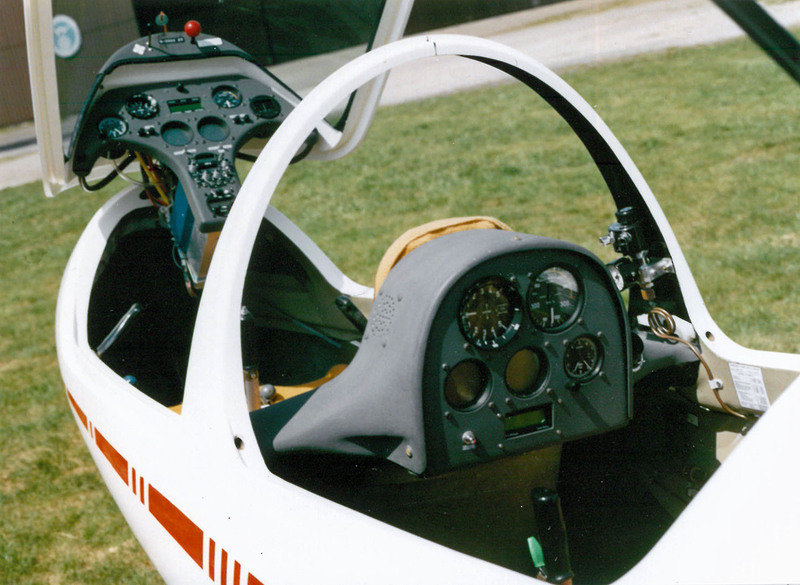 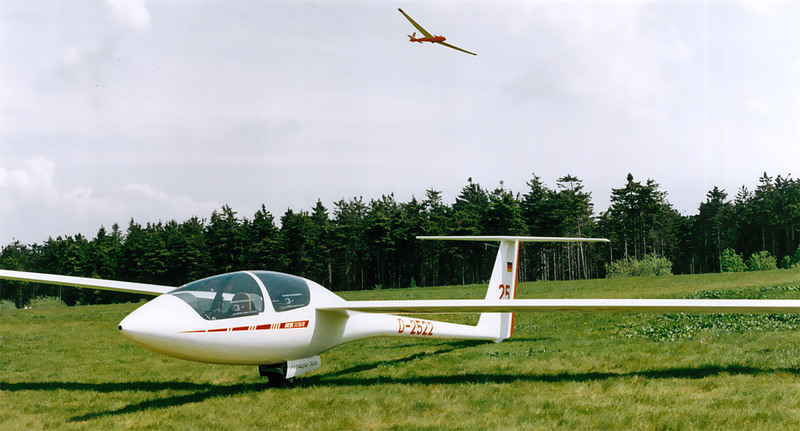 Soon after the first flight of the AS 22-2, Schleicher had to promise their many regular customers that they would build a similar large two-seater in series production. 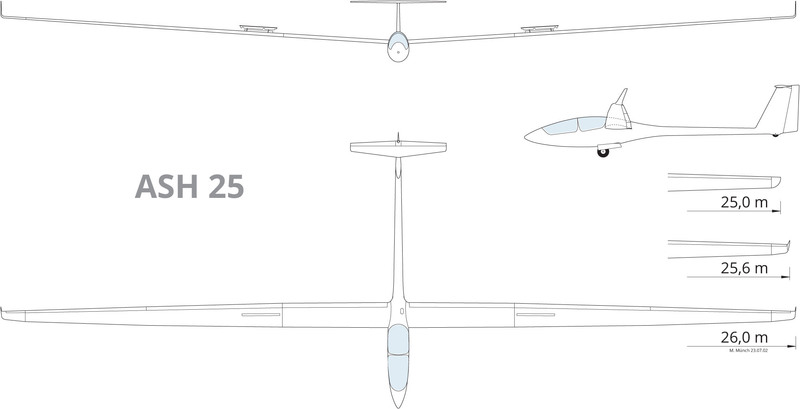 Consequently, this model received the designation ASH 25 with “H” for Heide. 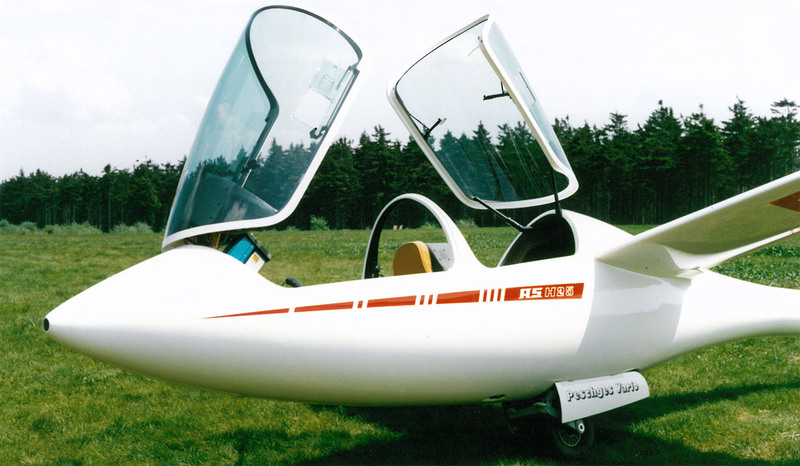 The series production was officially announced in April 1985 at the “Aero ’85” trade fair in Friedrichshafen. 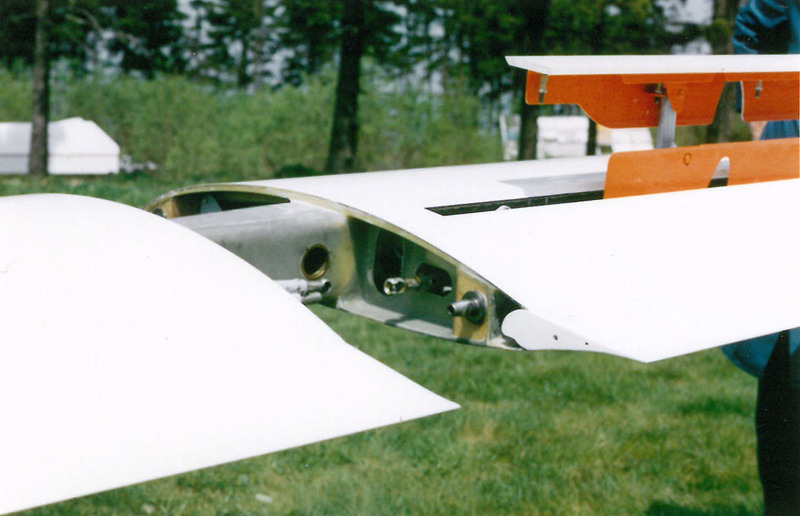 The most significant modifications in comparison with the AS 22-2 were a re-working of the former ASW 22 outer wing and the increase of the wingspan to 25 m. This wing was then also used for the single-seater ASW 22 which led to the addition of the “B” in its name. 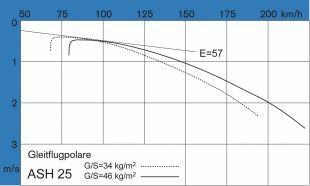 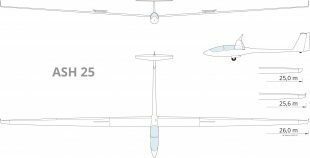 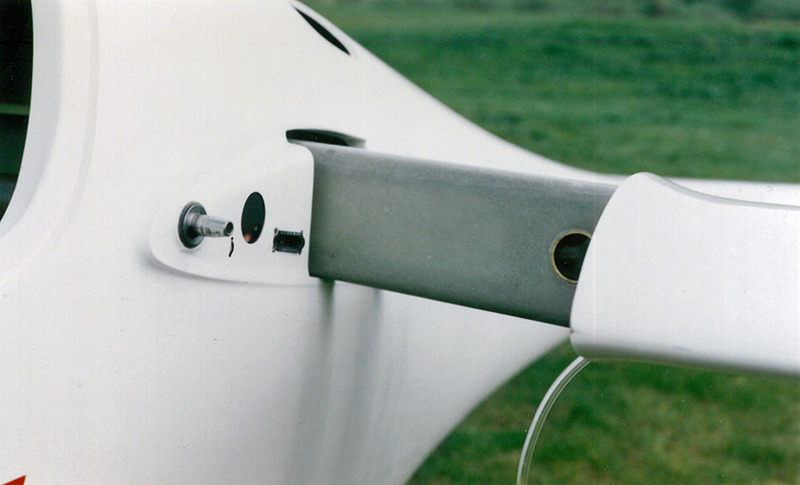 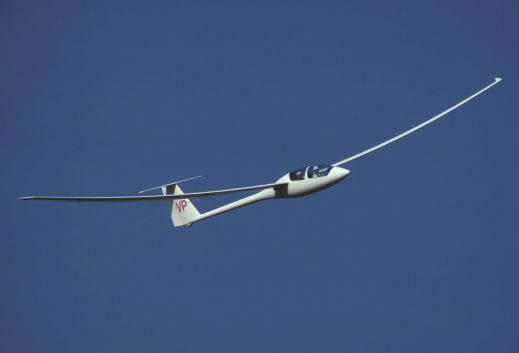 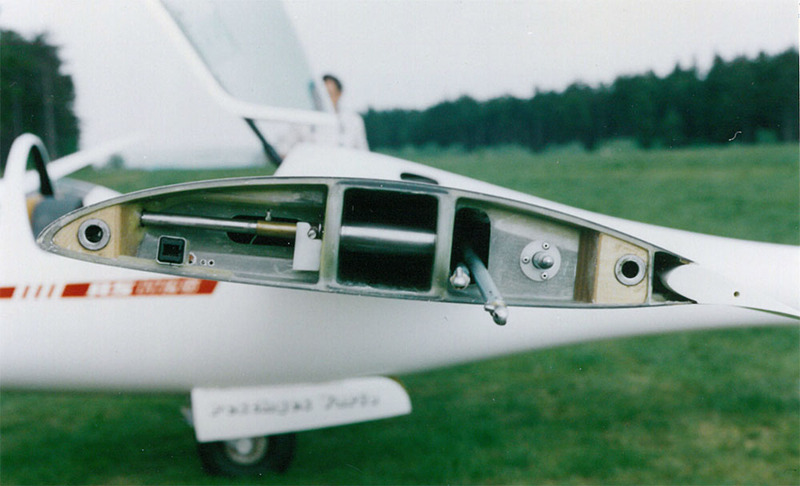 With the addition of winglets the ASH 25 wingspan increased to 25.6 m, and with the taller winglets added in 2001 it became 26 m.
Counting all variations, with 266 built this aircraft became the most successful open class sailplane. Hans-Werner Grosse set a total of 14 world records with the ASH 25 and Terry Delore and Steve Fossett another 11. 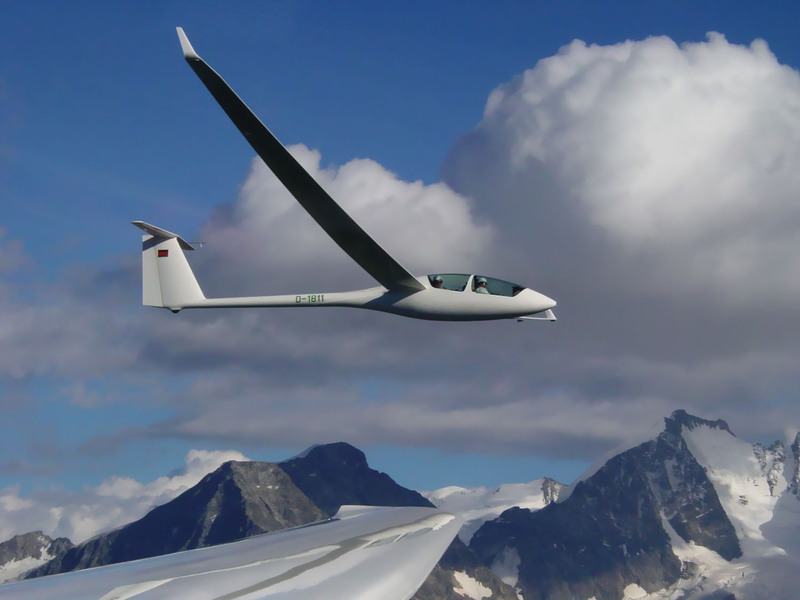 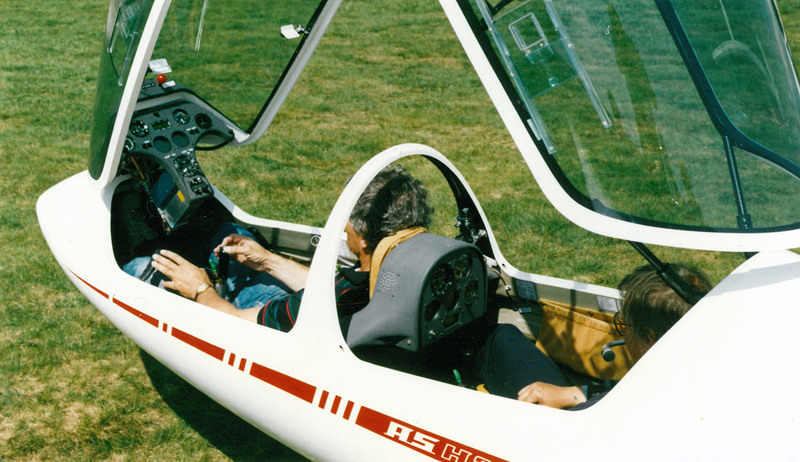 Besides Fossett and Delore , a flight of over 2000 km was made by Manni and Gitti Albrecht in an ASH 25 Mi.